Utah’s route 12 makes a swooping arc through the south central portion of the state. The scenic highway crosses Bryce Canyon National Park, miles of Grand Staircase Escalante National Monument and is anchored on near the northern terminus by Capital Reef National Park. 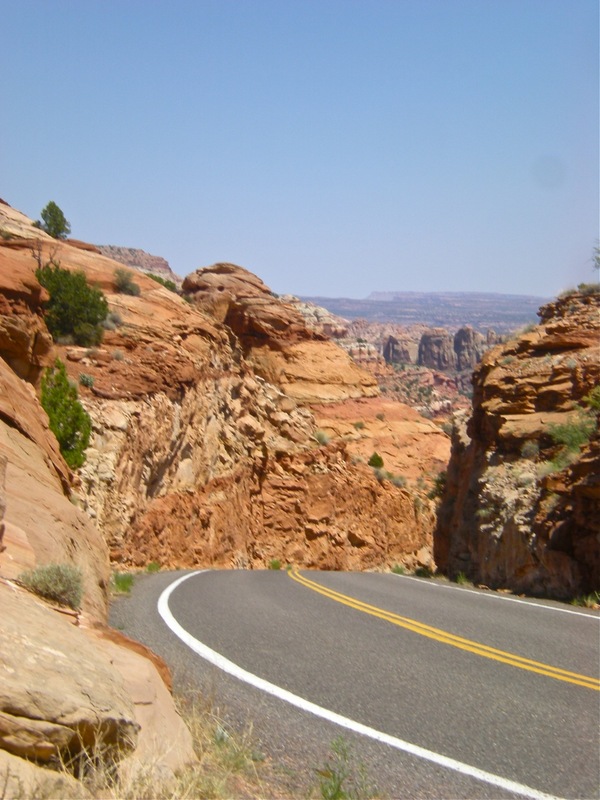 The National Scenic Byways Program named State Route 12 Utah’s first All-American Road. 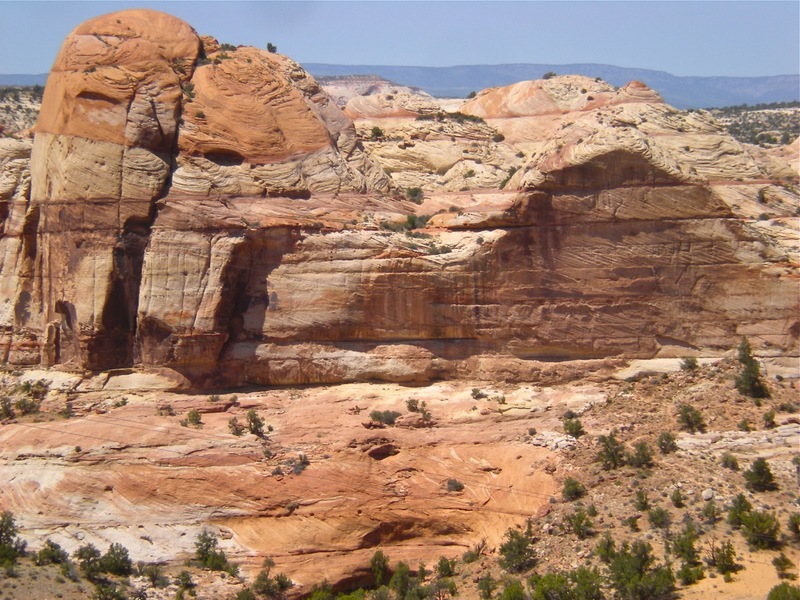 Today we traveled from the small town of Torrey, west of Capital Reef NP, to Escalante. Just 65 miles but an ever changing array of scenery and lots of opportunities for activities. 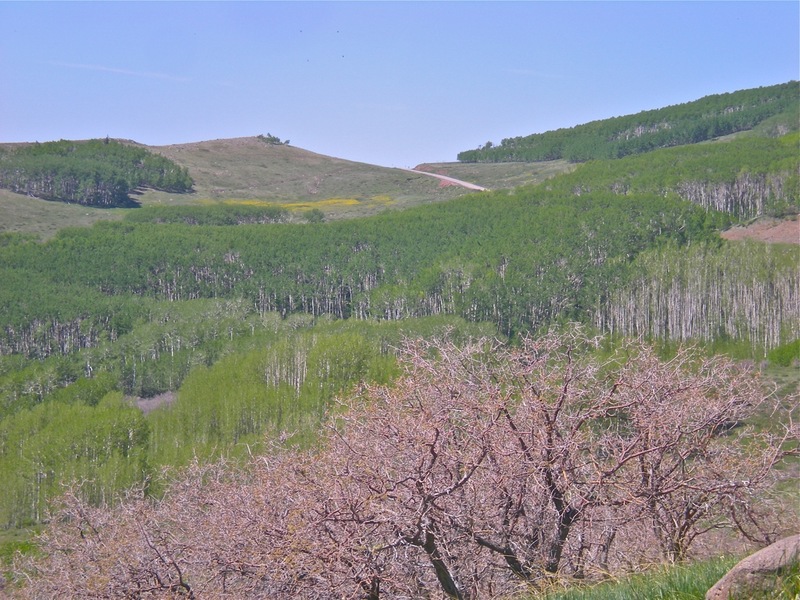 After days of barren canyons the forested slopes of Boulder Mountain refresh as we climb the mountain’s eastern shoulder. Aspen leaves shimmer in their spring greenery. Note to Self: This would be a stunning autumn drive when the massive aspen groves turn the mountain to gold. 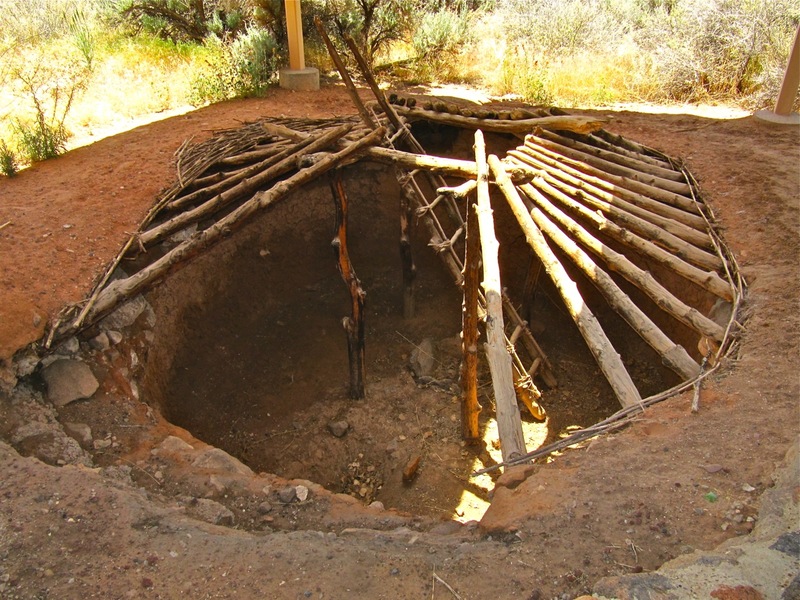 We stopped at Anasazi State Park in Boulder for a peak at the Fremont and Ancestral Puebloan cultures that called this home from 700 to 1300 A.D. Excavated remains demonstrate their evolution from pit houses to stone walled structures. Lunch at Boulder Mesa Restaurant was served by a friendly owner with discussion of recipes for the excellent pasta salad and refreshing cajun blueberry pie. 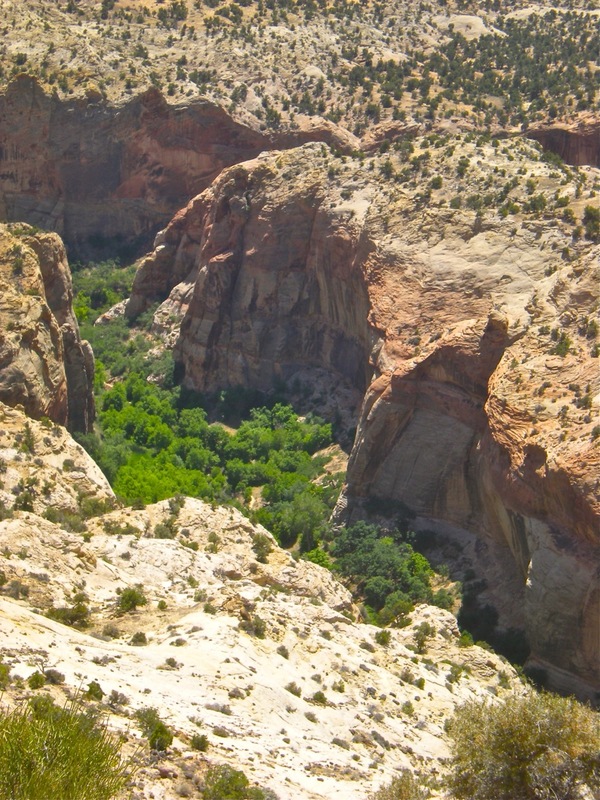 From Boulder we enter the Canyons of the Escalante portion of the 1.7 million acre Grand Staircase-Escalante National Monument. Popular hikes follow Cave Creek into the canyons to the oasis of either Lower or Upper Cave Creek Falls. 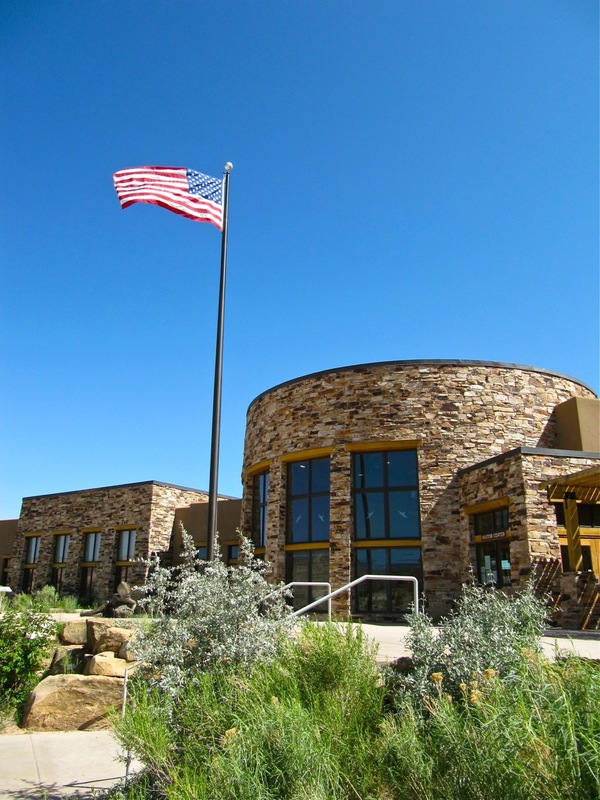 To grasp the extensive options found in the national monument we make the GSENM Visitor Center in Escalante a last stop for the day before checking into the Escalante B&B and salad and pizza at Escalante Outfitters.